In the latest in gambling news, the Western Cape Gambling and Racing Board has granted Lottoland the right to operate in South Africa for lottery wagering. This effort has finally paid off, as Lottoland has been wanting to get into the South African market for quite some time already. This now allows Lottoland to offer South Africans the chance to bet on, and win in other countries, such as European Jackpots, the US Powerball and the US Mega Millions. Similarly, your sportsbook pay per head provider can give you the chance to offer international markets to your players as well. With a diverse offering of wagering options, your players can bet on sports events from around the world. The good thing, your pay per head will do the heavy work for you. Lottoland has many attempts to expand as early as January. This is when they made an offer to operate instead of ZEAL network, their rival. Of course, ZEAL did not take the bid, especially since ZEAL has been wanting to buy Lotto24 AG. Now, with Lottoland having their licenses, they can make partnerships with any of the bookmakers who have licenses in South Africa. This means that they can now offer a wide variety of lottery options to the South African Market. Of course, Lottoland looks forward to their business in South Africa. This is also Lottoland’s 12th license internationally. Lottoland Limited is based in Gibraltar. 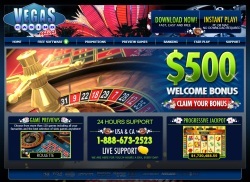 They offer betting options such as online scratchcards, online table games, slot games, and card games internationally. Of course, the services offered will vary on the license they have in each country they operate in. Of course, this may increase some complaints against having a lottery operation by a private company. Traditionally, lotteries are state-run and proceeds go to charities. But the market is big enough that multiple licensees can operate on open markets.